Eighteen years after the end of the First World War, a memorial crowned Vimy Ridge, where Canadian soldiers won the hard-fought battle in 1917. 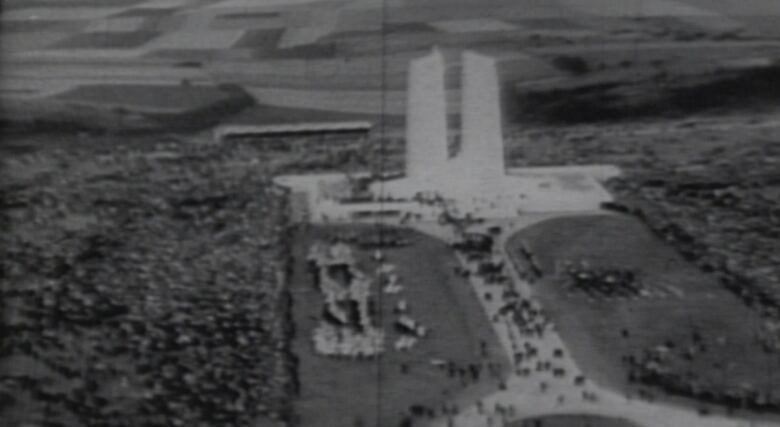 Tens of thousands gathered to see the Canadian National Vimy Memorial unveiled almost two decades after the bloody battle that involved 100,000 Canadian soldiers had unfolded in northern France. The Battle of Vimy Ridge raged over three days in April 1917, as Canadian soldiers took an escarpment of strategic importance from the Germans, which other allied forces had been unable to capture themselves. The victory cost more than 3,000 Canadians their lives and wounded thousands more. The war wouldn't end for another year. But the sacrifices the Canadians had made at Vimy would be remembered forever and memorialized with a monument that was unveiled in 1936. 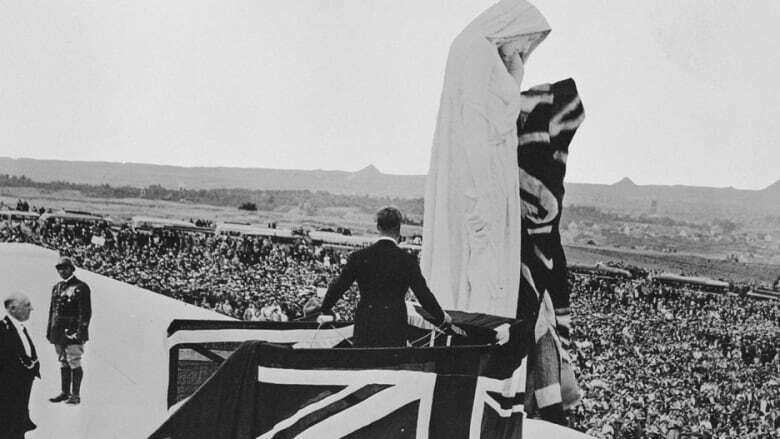 It was King Edward VIII who pulled back the flag, on July 26, 1936, to reveal the largest of the 20 sculptures featured on the monument — Canada Bereft. The king spoke of the land on which it stands as "now and for all time a part of Canada." Six thousand Canadian veterans had made the pilgrimage, sailing on five ships which had left Montreal 10 days earlier. They were part of a crowd at the ceremony that Veterans Affairs Canada says totalled an estimated 50,000 people. 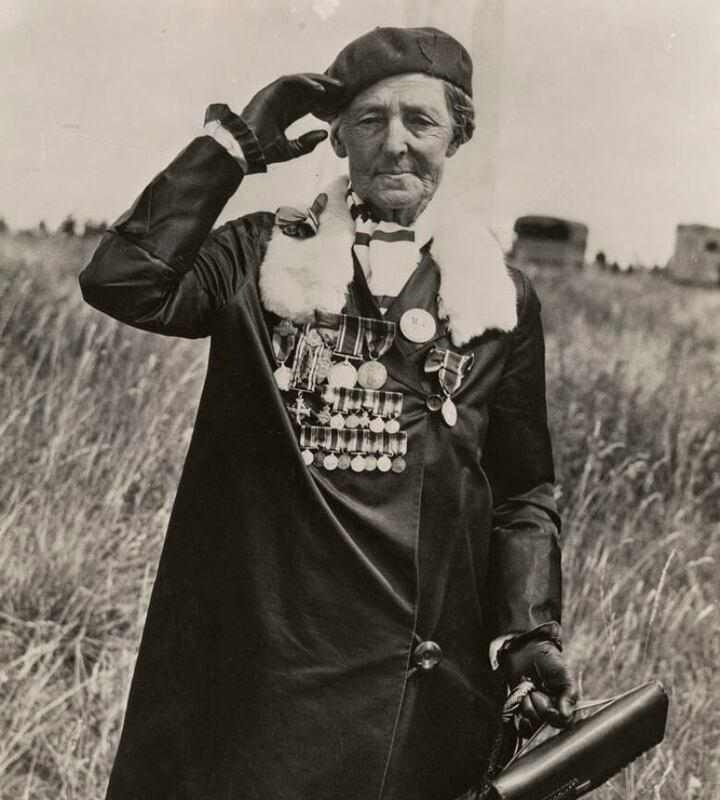 Charlotte Wood, the first National Memorial Silver Cross Mother laid a wreath at the memorial. Seven of the Winnipeg mother's sons and stepsons had enlisted — two were killed in action, including one at Vimy Ridge. 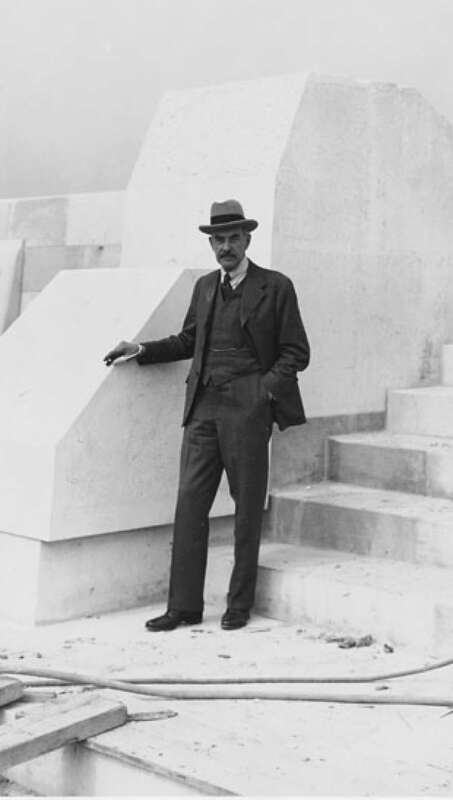 Designed by Walter Allward, the concrete, steel and limestone Vimy memorial cost $1.5 million to build and was 11 years in the making. It was built on ground granted by France to Canada in 1922, in gratitude for the sacrifices Canadians made during the war and at Vimy. On Remembrance Day 1944, CBC correspondent Matthew Halton described his recent visit to the monument, about two months earlier. "I saw two graceful white pylons, delicate but majestic, rising against the lowering sky," he told CBC Radio listeners. "For now, we were at Vimy Ridge." 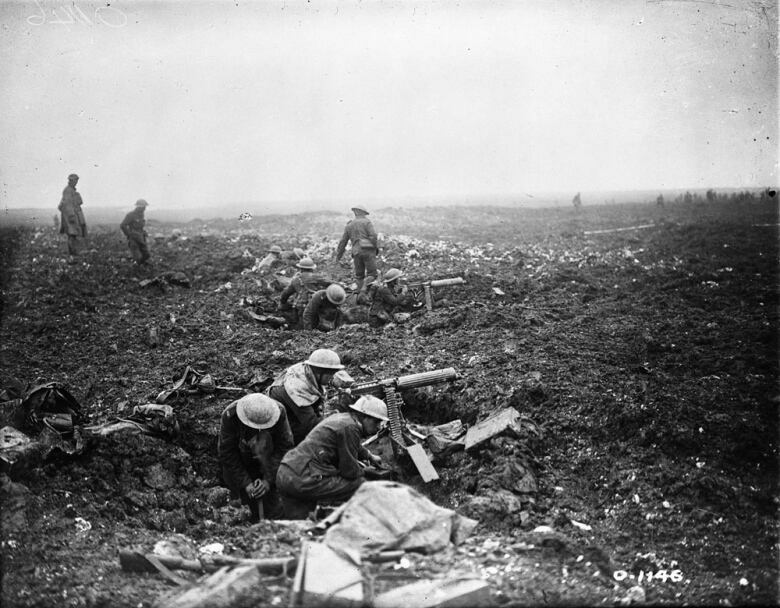 As the Second World War was moving to its "bitter end," Halton described the scene of the 1917 Vimy battlefield, where "there was nothing left of the old war" except for the memorial and the cemeteries. "A few winding humps, covered with grass, marked the trenches. And some of the farmers around there are still using the barbed wire on which one generation was crucified," Halton said. "The handsome cemeteries and the Vimy Memorial. Nothing else remains to tell the story." In 1968, the 50th anniversary of the 1918 Armistice was marked by a visit to the memorial and a tour of the park by Canadian First World War veterans. At that time, Brig.-Gen. James Melville led a tour through a Vimy trench and explained what life was really like in the trenches. "These trenches would be filled with water most of the time?" a reporter asked him. "Filled not only with water, but with rats," Melville responded.